Members at One Housing Group have announced four further days of strike over the sacking of lead convenor, Bryan Kennedy, and the general treatment of staff at the association. Details of picket lines for strike days will be added shortly. Follow the link for the latest News item. Bryan Kennedy Appeal Hearing Postponed - But Not the Protest! Nearest tub Chalk Farm. See the map for directions. Please also see this excellent short film setting out the background to the campaign. On Tuesday 17th June, Bryan Kennedy was summarily dismissed from OHG. Many of the original 'charges' have been dropped and those that exist are highly questionable with limited evidence. 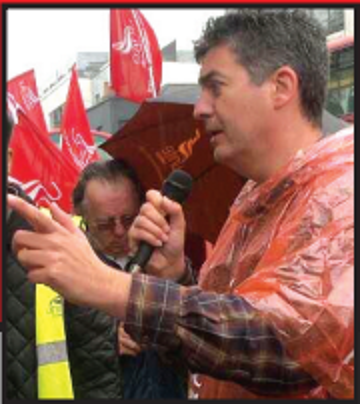 This adds to our belief that Bryan had been suspended, now sacked, for his role as a Unite convenor. Bryan will be appealing and we will be sending further information over the coming days. The branch officer at One Housing Group was suspended immediately before a negotiation meeting in which the union would have raised the prolonged six-year pay freeze imposed on staff, but not for the top executives. He was sacked yesterday. Sign the Change.org petition to Re-Instate Bryan Kennedy. Get regular updates on the protest activitities by visiting this web page. By BACS: Account Name: Unite Housing Workers Branch LE1111, Account No: 20040639, Sort Code: 08-60-01. Help our fundraising by downloading the I'm Bryan campaign song (minimum £1, more if you can afford it!). We have had fantastic support from across the union movement but we are now urgently appealing for funds to help with the costs of running the 'I'm Bryan' and other campaigns. 24 April 2014 Unite members and supporters protested outside a social care event in which One Housing Group was participating. 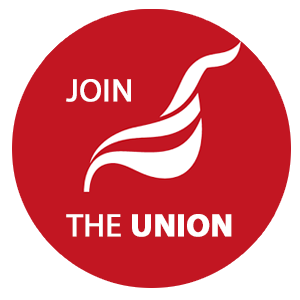 24 April 2014 Unite served a formal, seven day notice on One Housing Group of its intention to ballot members at the Group. The ballot followed an internal consultative members' vote which returned 84% in favour of strike action. 23 April 2014 The disciplinary hearing for Bryan was due to take place but was postponed because due to Bryan's ill health. Nonetheless, a large number of members and supporters went ahead with a planned protest outside the Group's headquarters.